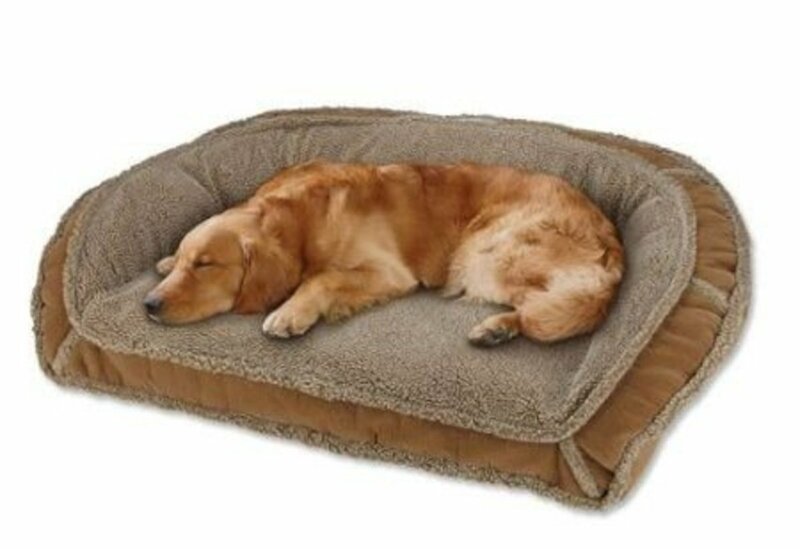 A deep dish style dog bed with memory foam will make a comfortable bed for your arthritic dog. 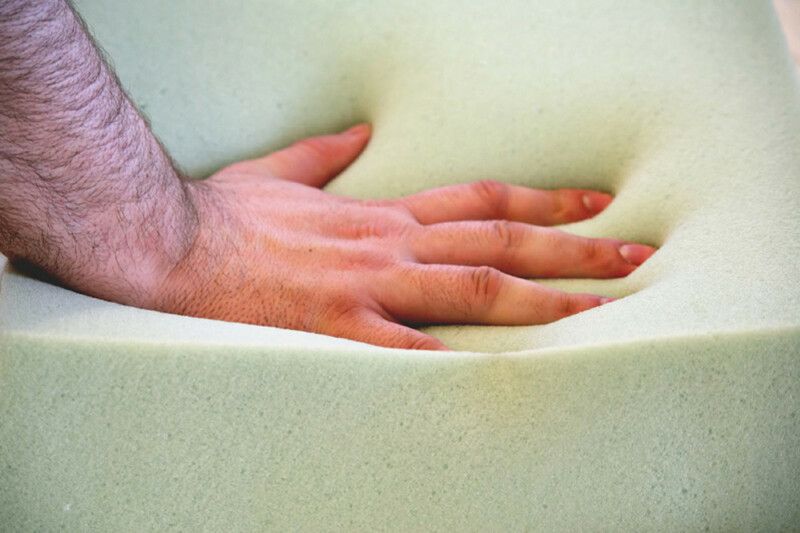 The therapeutic memory foam offers support and cushioning for joints and muscles so your dog can sleep with ease. It also helps in maintaining body temperature to keep the pet comfortable. Most beds are large in size, perfect for multiple pets to rest at the same time. The fleece lining adds a designer touch so you can place it anywhere in your home. These dog beds look like a couch. 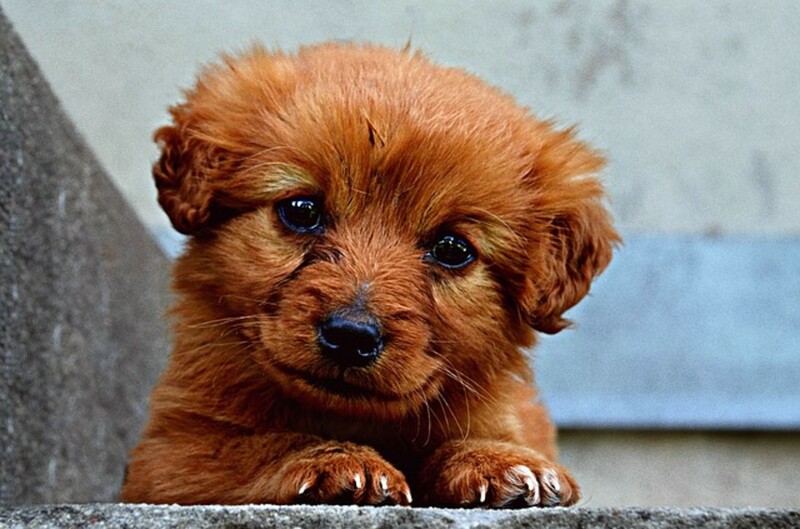 Let your pet have his own special place in your living room with the rest of the family. They are large enough to share with other pets. Senior dogs have different needs than their younger brethren. 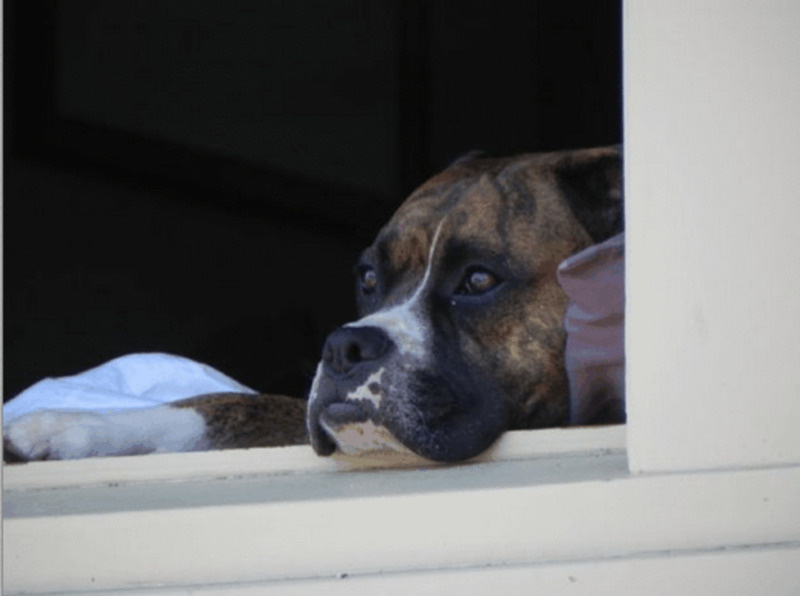 Here are some tips for dealing with older dogs with health problems. 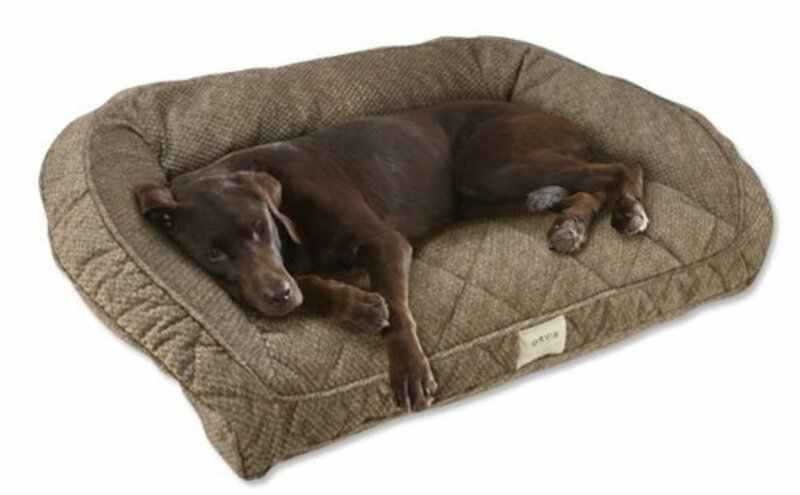 This v-shaped deep dish corner dog bed by Orvis is very convenient. Its compact design will allow you to place it in any corner or against a sofa or chair next to yours. With bolsters on both sides your pet will have support for his back and neck whenever he lays down for a nap. Its soft quilted microfiber cover is easy to remove and wash. The hypoallergenic polyester fill will not absorb or retain odors. A high quality bed. Strong enough for a Great Dane. 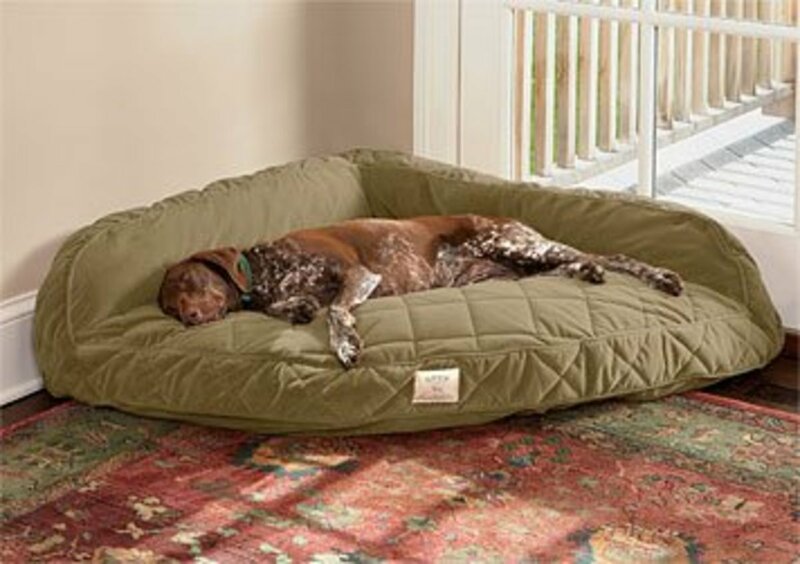 Lounger deep dish dog beds by Orvis with bolster for extra back and neck support and wall protection. Durable Velvet-soft microfiber covers on bolster and sleeping pad are removable and washable for easy care. Chew proof deep dish dog beds. With bolsters on three sides. Luxurious soft microfiber top cover is removable and washable. Made to look like a couch. Tired of sharing your bed with the dogs? These corner dog beds with bolster are designed to fit in even the smallest of rooms. 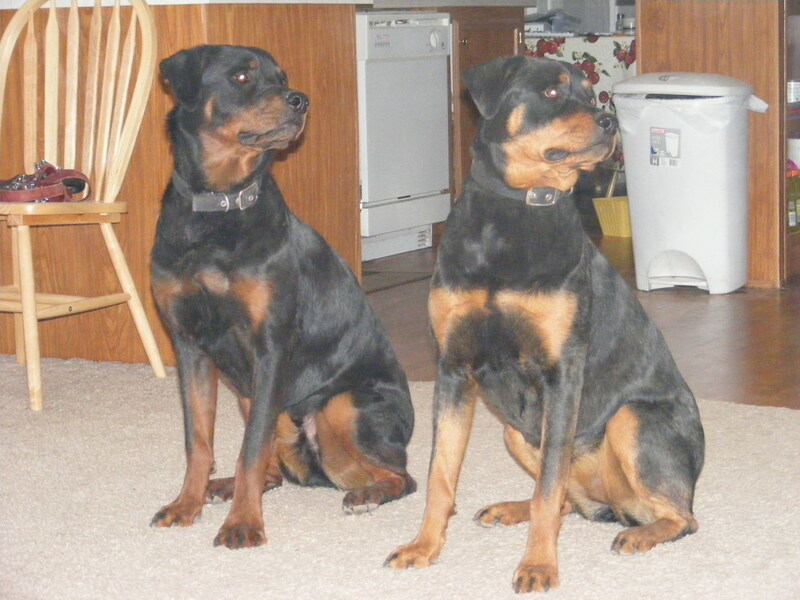 There are various sizes for the various breeds of dogs. What kind of bed does your dog prefer? These all look awesome! I didn't know these beds even existed for dogs but I bet they go down well! 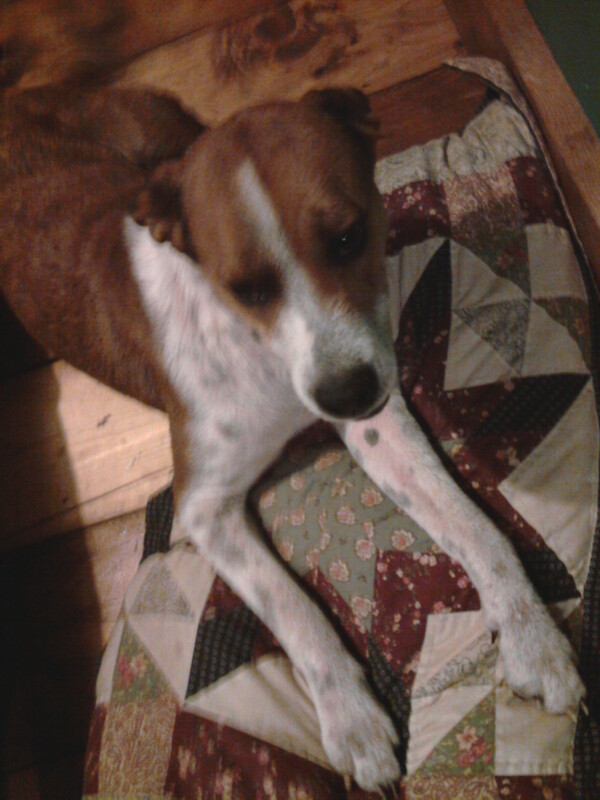 My dog prefers my bed...LOL! I have purchased multiple dog beds and she refuses to sleep in them.. sigh... These memory foam beds look very comfy though..
My little girl, Mini, has gone but I do appreciate these wonderful beds. She would have loved them.